Kinew, Wab. The Reason You Walk: A Memoir. Viking, 2015. Ningosha anishaa wenji-bimoseyan (I am the reason you walk). 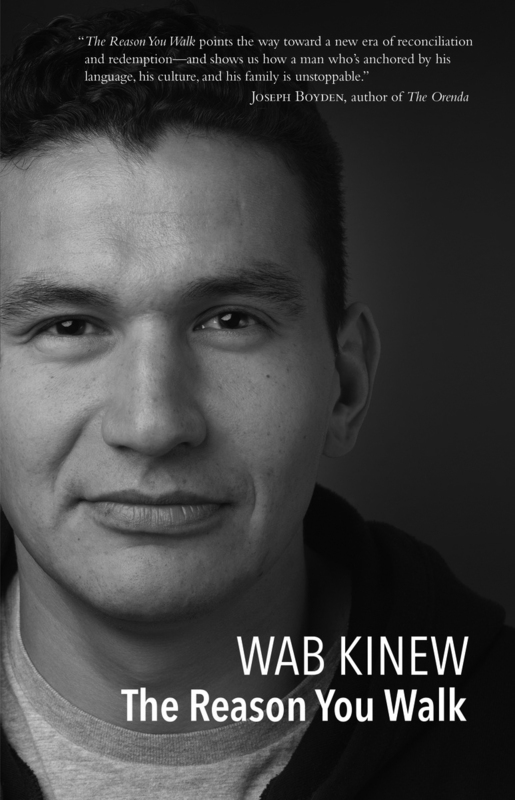 These Anishinaabe words form the title of author Wab Kinew’s first book. How fitting that this accomplished CBC journalist and media spokesperson would use the ancient language of his people to title this book, the same language that was supposed to have disappeared long ago through the aggressive forces of assimilation under the Indian Act and the residential school system. Perhaps it is also fitting that as I sit down to write this book review in December 2015 (my first in many years! ), the final report of the Truth and Reconciliation Commission (TRC) is just now being released by Justice Murray Sinclair, chair of the commission for the past six years, and resident of Manitoba. My introduction to Wab Kinew was as host of the successful CBC video series 8th Fire, an engaging four-part documentary exploring the relationship between Canada and its Aboriginal peoples over the past five hundred years, with the hope that those who viewed it would resolve to help heal this tenuous relationship. Using this educational resource in my high school social studies classroom and seeing how well it resonated with my senior students gave me an appreciation for Kinew’s unpretentious, easy manner and natural storytelling abilities. When I later learned that he had just published his first book, I quickly purchased a copy and opened its pages, eagerly anticipating that same style of listening and engagement that I had come to expect from him. I was not disappointed. The same ease of storytelling that Wab Kinew demonstrated as a media host now flows from the pages of this important and engaging read. I feel the need to confess that—rather paradoxically—I normally find biographies both appealing and uninviting. Appealing in the sense that I am drawn to hearing the story of an important figure, whether internationally recognized, like Nelson Mandela, or known locally, such as Wab Kinew; I am drawn to understand more about who they are, how they came to be, and the influences that played a part in shaping them. Yet too often, my initial interest wanes due to the sometimes rather tedious nature of so much minutiae. 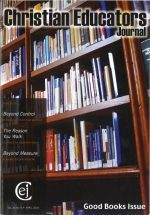 On more than one occasion, I have checked a biography out of the local library, only to return it partially read or abandoned in frustration! Not so with the present read. The Reason You Walk is ultimately a story of reconciliation. On one level, it is a personal memoir, as the author shares the story of his complicated, fiery relationship with his father, Tobasonakwut, who experienced firsthand the indignities of residential school as a young boy. For example, upon his arrival at St. Mary’s Indian Residential school, Tobasonakwut was renamed Peter Kelly, a supposedly more Christian-sounding name. The Reason You Walk is much more than a personal memoir of Wab Kinew’s immediate family, however. It is ultimately a moving, powerful story of a much broader reconciliation that is currently (and finally) taking place in Canada as this nation begins to come to terms with the destructive legacy of the now infamous and misguided residential school system. The Reason You Walk grips the reader immediately with difficult and painful themes that have manifested themselves for so many generations in far too many First Nations communities and individual lives: alcoholism, sexual and physical abuse, broken relationships, assimilation, colonialism, disease, violence, and death. And yet, despite this dark litany of themes, this is a book about hope and reconciliation—words that reflect so much of what we believe and hold on to as Christians, but have so often failed to live by or put into practice. Reading The Reason You Walk, one cannot help but be troubled by the church’s duplicity in the residential school system. One can also perhaps come to understand why so many contemporary First Nations people disassociate themselves with the church’s institutions (and I include Christian day schools in that mix), and instead renew their efforts to relearn a culture and a language that were nearly completely taken away from them. Wab Kinew’s father immerses himself further and further into the ancestral practices and worldview of his own people (including the once-banned but now-celebrated Sundance ceremony) in order to regain what was nearly lost. At the same time, he simultaneously embraces and reaches out to representatives of the Roman Catholic Church, including Canada’s own Archbishop James Weisgerber of Winnipeg, in a spirit of genuine reconciliation. The author’s quest to offer forgiveness to those who hurt him so deeply by robbing him of his boyhood innocence, his family, and his culture, takes him all the way to the Vatican City, where in a remarkable one-to-one meeting with Pope Benedict XVI himself, Tobasonakwut personally gave the Pontiff an eagle feather as symbol of reconciliation between the two cultures. Wab Kinew’s father was also present in the House of Commons in 2008 when Prime Minister Stephen Harper offered an apology on behalf of Canada to all former students of the Indian residential schools. One may be tempted to think that this may be the end of the story. But alas, such is not the case. Most of us are well aware, through our own painful experiences of dealing with life’s hurts, that reconciliation is not that easy, nor are people’s lives that straightforward. Wab Kinew avoids the temptation to glamorize his father’s successes and his character. Nor does he sweep over his own painful childhood growing up in his father’s home, where he knew Tobasonakwut (called Ndede, meaning “my father”) to be emotionally distant, full of rage, alcoholic, and even adulterous. At one point, Kinew comes to realize that he had “learned to hate his own father” (47) for his shortcomings, and that he had come to despise how he was forced to learn his own cultural practices from other Anishinaabe elders in his community while his very own Ndede was, ironically, away from home teaching others these very same practices. As Kinew comes of age through university graduation and a brush with the law, he and his now nearly-estranged father begin the long, slow journey of walking together on the path of reconciliation, made all the more urgent by the discovery of an aggressive form of cancer in Tobasonakwut that eventually takes his life. Fortunately, by this stage, he and his extended family have come to terms with each other, their pasts, and their hurts, just as this country’s collective conscience begins to awaken to the same realities in terms of our relationship with the broader Aboriginal community. Elements of the book may make some readers uncomfortable: rough language, moral relativism, celebrated syncretism, and a disdain for Euro-stylized organized religion. However, there is much in the book to both move us and cause us discomfort as we face our historical indifference to, and complicity in, the plight and suffering of Canada’s Aboriginal peoples. This volume reminds all of us their resilience and fortitude cannot be easily dismissed and ignored. Whatever one’s convictions about whether Prime Minister Trudeau ought to implement any or all of the Truth and Reconciliation’s ninety-four recommendations, much more can be done on an individual level to walk the path of reconciliation together with our Aboriginal neighbors. Reconciliation must first of all begin with us—those who recognize we have been reconciled by the Creator through his Son. For those who do not know where to start, including perhaps Christian educators who are compelled by their own love of learning and commitment to justice, I highly recommend this book. For those already on that sacred path towards healing between Aboriginal and non-Aboriginal peoples, let this book and its riveting story encourage you as you take the important and necessary steps towards a better day. Some of those steps will be painful, some sorrowful, some easier than others, but walk together we must. May the glory of God and the kingdom coming “here on earth, as it is in heaven” be The Reason You Walk. Jonathan Boone teaches at Bulkley Valley Christian School in Smithers, British Columbia.